The product is part of a range of health supplements produced by the Scandinavian company New Nordic, who control all Canadian marketing from their offices in Quebec. The formulation comes in tablet form and can be found on the shelves of many leading Canadian pharmacies, including Pharmaplus, Rexall, and Shoppers Drug Mart. It is also available to buy from the manufacturer’s website and from the Amazon marketplace, but no money back guarantee is offered. The product contains a few fillers and binders, but the main active ingredient is standardized mulberry leaf extract, and the recommended dose is one tablet, to be taken three times a day, with a meal. Some clinical tests suggest that mulberry leaf extract can help stabilize blood sugar levels. The extract is also believed to reduce sugar absorption, so it is easy to understand how the extract may—theoretically—assist weight loss, because if less sugar is available there will be less likelihood of the body receiving an excess of sugar and storing it as fat. The crucial substance contained in the leaves is called DNJ (1-deoxynojirimycin) and it is believed to facilitate the aforementioned results by inhibiting the breakdown of sugars, thereby preventing the conversion to glucose and its subsequent entry into the bloodstream. There are no customer testimonials posted on the manufacturer’s website, but a modest amount of independent reviews are available and, although a few people report limited success with the product, the majority of reviewers state the tablets provided little or no benefit. New Nordic fail to mention whether any side effects are likely, but caution is advised before deciding to use this product, and it should be avoided by pregnant and breastfeeding mothers. Diabetics should also think twice before using Mulberry Zuccarin Max, and are advised to seek medical advice before use because using this supplement alongside their regular medication could result in blood sugar levels becoming too low, and may possibly lead to hypoglycemia. It is also worth noting that people who pursue active lifestyles burn more energy, at a faster rate; so using a product that restricts the availability of energy-providing glucose may result in feelings of fatigue. 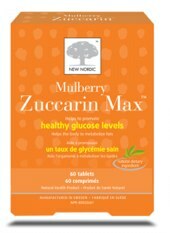 It is conceivable that Mulberry Zuccarin Max may help diabetics to regulate their blood-sugar level, but any such use would need to be strictly monitored by a medical professional and it seems likely they would have access to many better—prescription-only—alternatives. Even if the possibility of side effects is disregarded, this product is a very poor option for anyone who desires to lose weight. Some benefits should—in theory—be possible, but the majority of independent feedback suggests Mulberry Zuccarin Max fails to live up to the claims made for it, and this is not surprising because the product is designed to approach weight loss in a very one-dimensional fashion. It does not contain any fat burning ingredients, nor does it have the power to suppress the appetite; it just reduces the availability of energy in the hopes that the body will retaliate by burning stored fat instead. 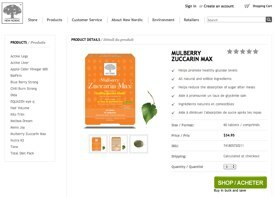 Like so many of its competitors Mulberry Zuccarin Max appears to be big on promises, but lacking in results, so although it is readily available to buy from many outlets, it shares shelf space with many superior products and the consumer is advised to look elsewhere. PhenQ is a highly effective fat burner and appetite suppressant that is arguable the most popular non prescription commercial brand for Canada and the United States. 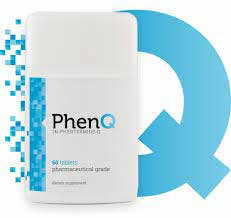 PhenQ encourage its users to sen in there comments and prints them on its official website. 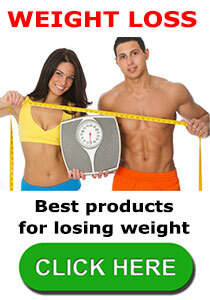 There are also video diaries of success dieters. PhenQ is produced using and combination of natural and pharmaceutical grade ingredients in FDA approved facilities and should be given serious consideration. This entry was posted in Fat Burners and tagged Mulberry Zuccarin GNC, Mulberry Zuccarin Stockists, Mulberry Zuccarin Walmart by admin. Bookmark the permalink.